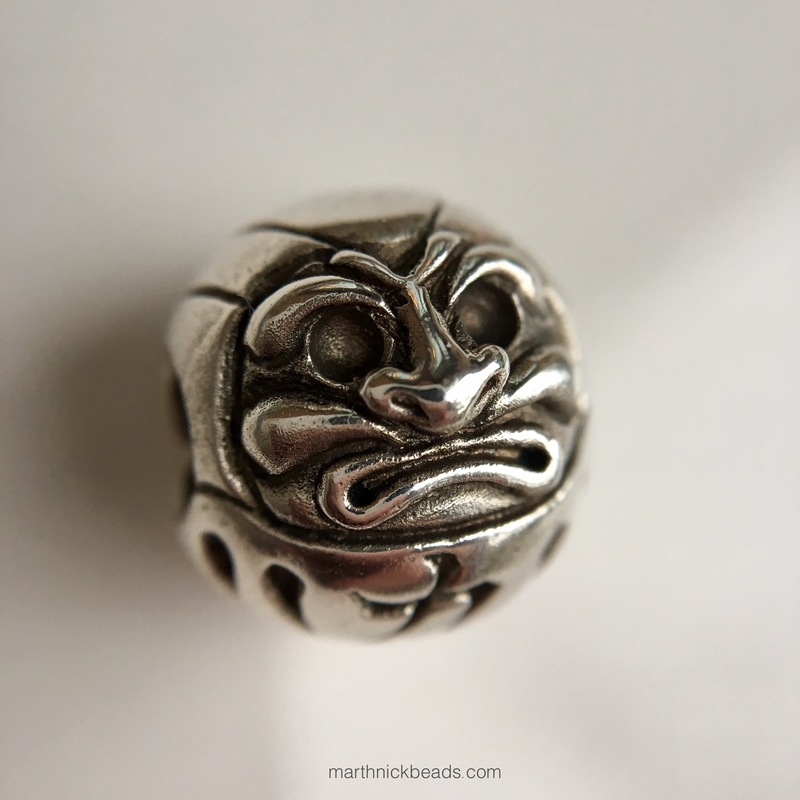 Today I’ve got some photos of the other two silver Spiritbeads from Star Bijou. The first is a Kokeshi doll (45 €) and she is just adorable. I love the detail and her sweet face! The hole runs vertically, so she works really well on a necklace. 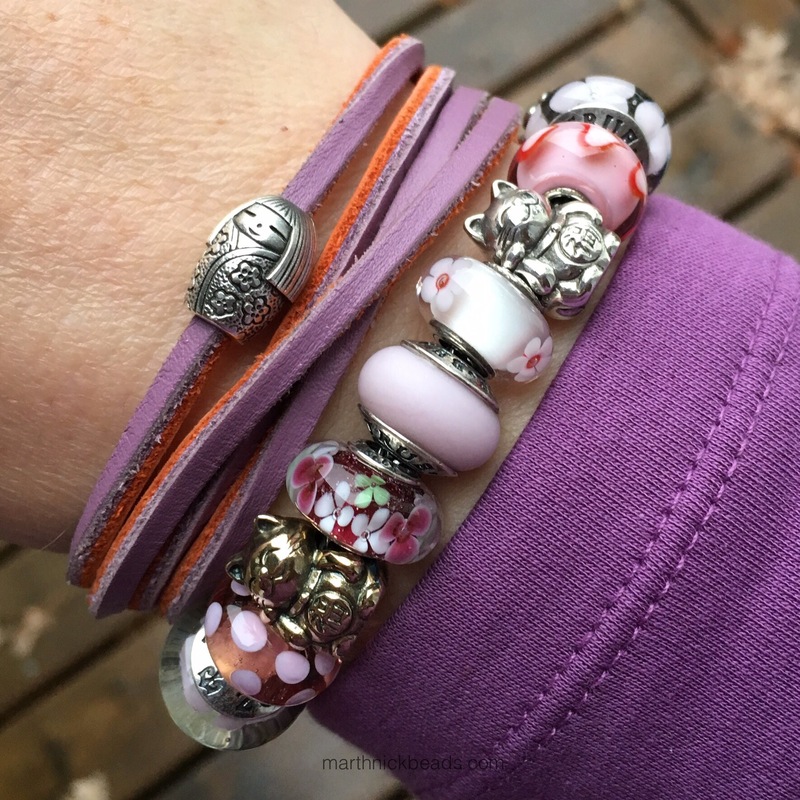 The Kokeshi is also really nice on a leather bracelet. 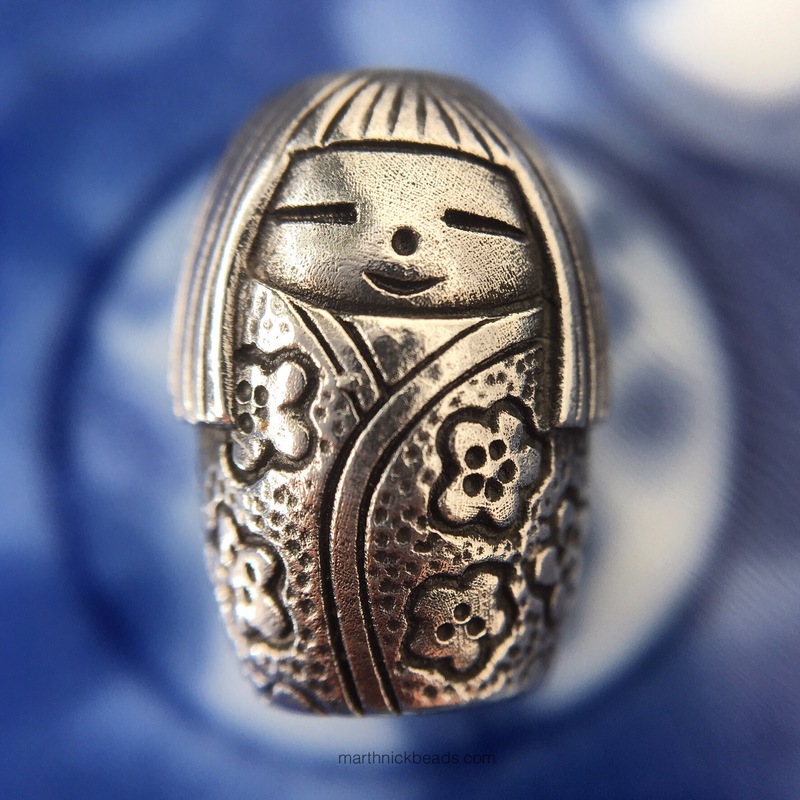 The second bead is the Daruma (54 €). His face is so awesome. 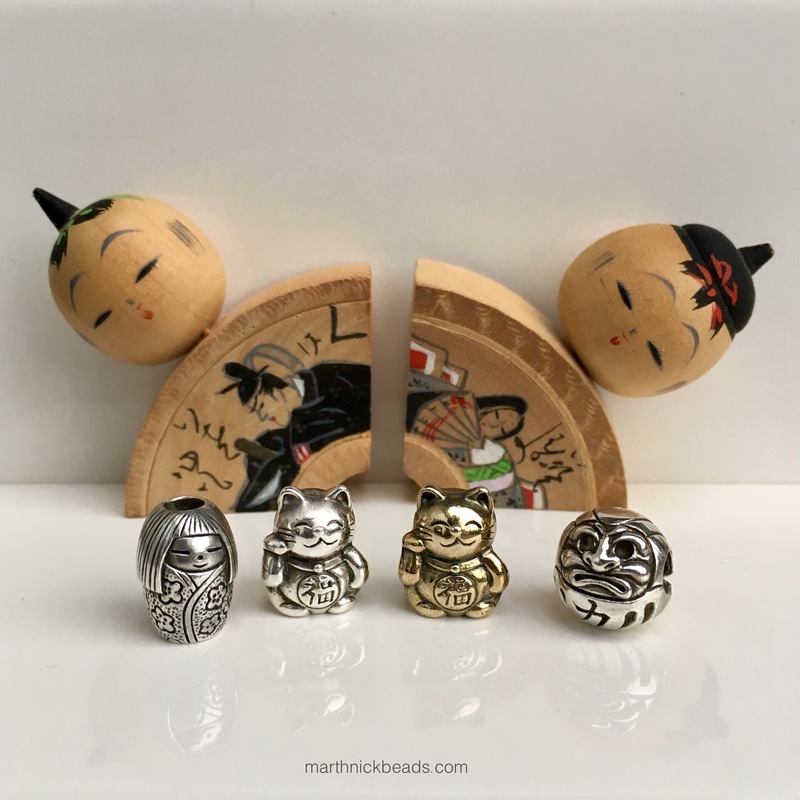 With the Daruma, the idea is that he is a helper in the fulfillment of wishes, as you can read below in the package that he comes with. You set a goal or make a wish and place one of the Swarovski crystals in an eye with the glue provided. After the wish or goal has been achieved you then glue in the other eye. The colours of the crystals provided in the package I got were clear, gold, red, green and black. I chose the gold after much deliberation. I used tweezers to place the crystal in the eye. Here’s a bracelet using the Japanese inspired Spiritbeads plus the Japanese inspired Redbalifrog beads that I already had. I think they complement each other nicely. 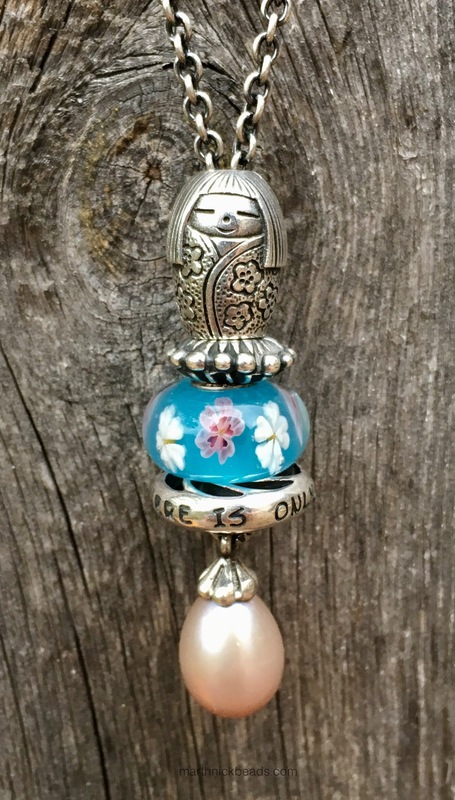 Left to right below are a Pandora Geometric Facet, a Trollbeads unique, Redbalifrog Geisha Doll, Ohm Beads Crocus, Spiritbeads Maneki-Neko, Trollbeads Blooming Sakura. 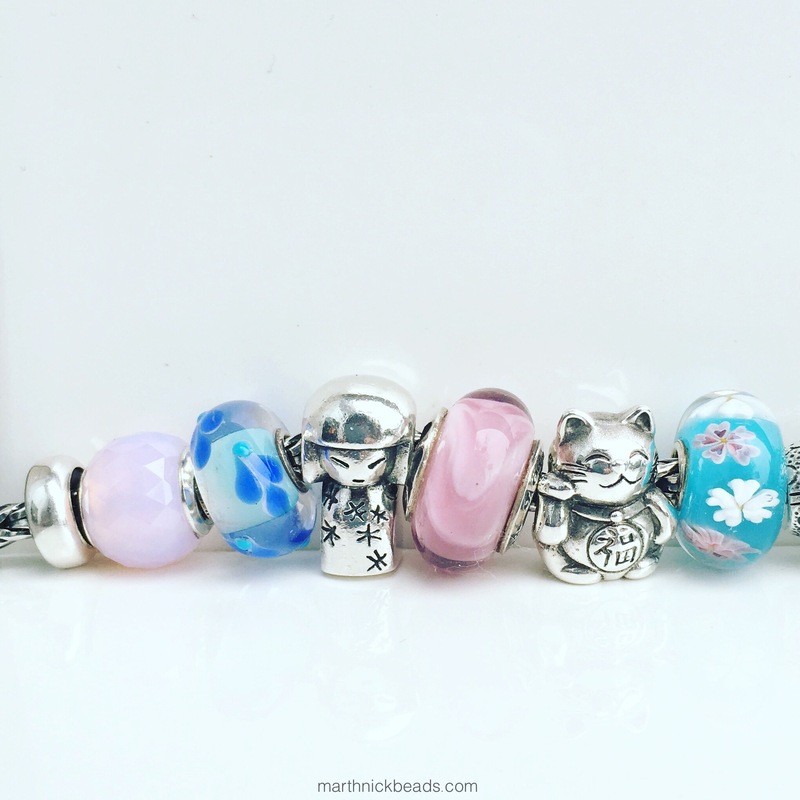 Left to right below after the Blooming Sakura are the Spiritbeads Kokeshi, Trollbeads Moonlight Bubbles and the Spiritbeads Daruma. 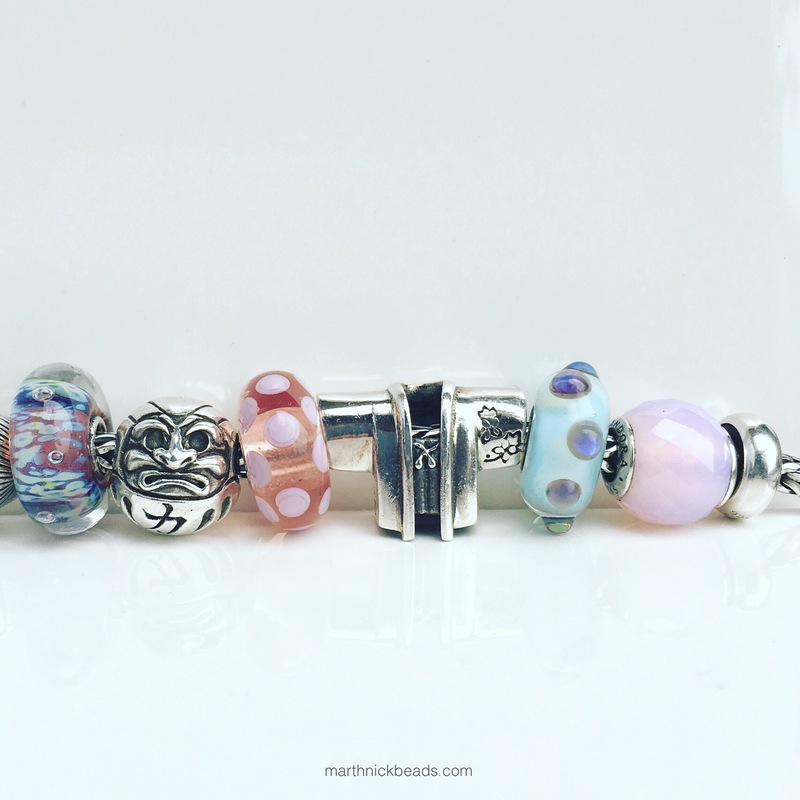 Below left to right after the Daruma are the Trollbeads Summer Dot, Redbalifrog Kimono, Trollbeads Blue Moonstone and a Pandora Geometric Facet. 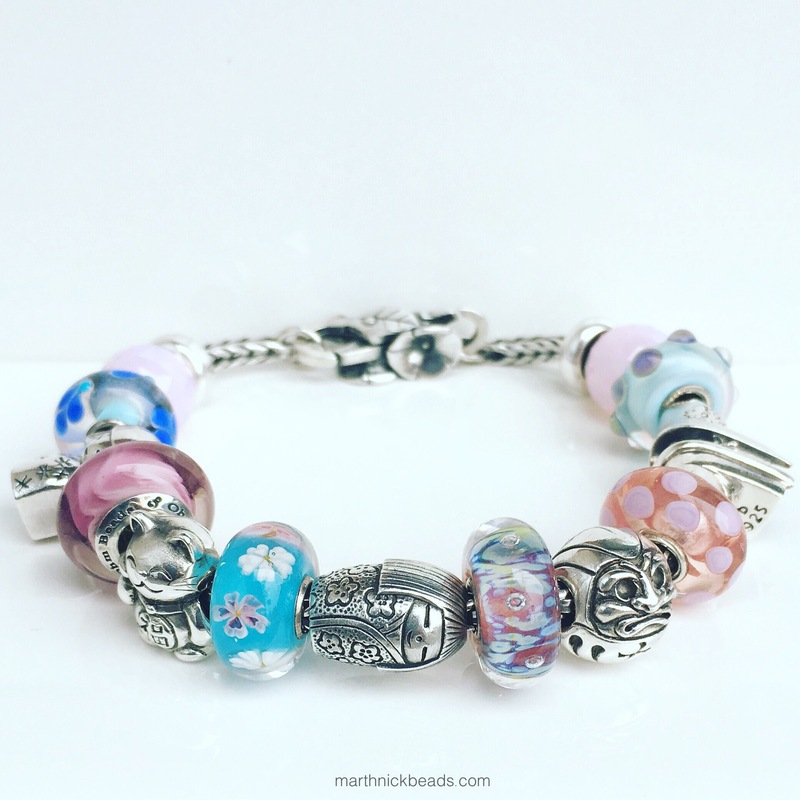 I put the bracelet with a combo using the brass Meneki-Neko and then added in the Ohm Beads Purple Hazes with a Pandora Disney Elsa Murano. Lastly, here is the whole gang together. I must say that I really like these beads and look forward to using them more! By the way, these two wooden dolls below were given to my parents in the early 1960’s by a Japanese exchange student from Kyoto University when my Dad was a student at the University of Western Michigan. I think they make a lovely backdrop! 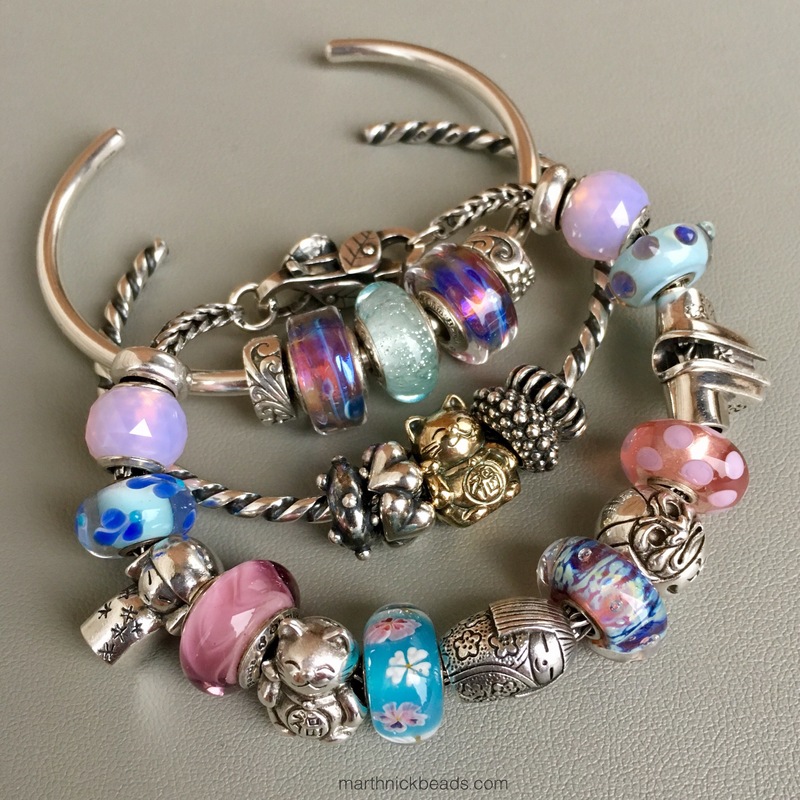 Coming up Friday is the Trollbeads Winter Wonder Kit. I love her! 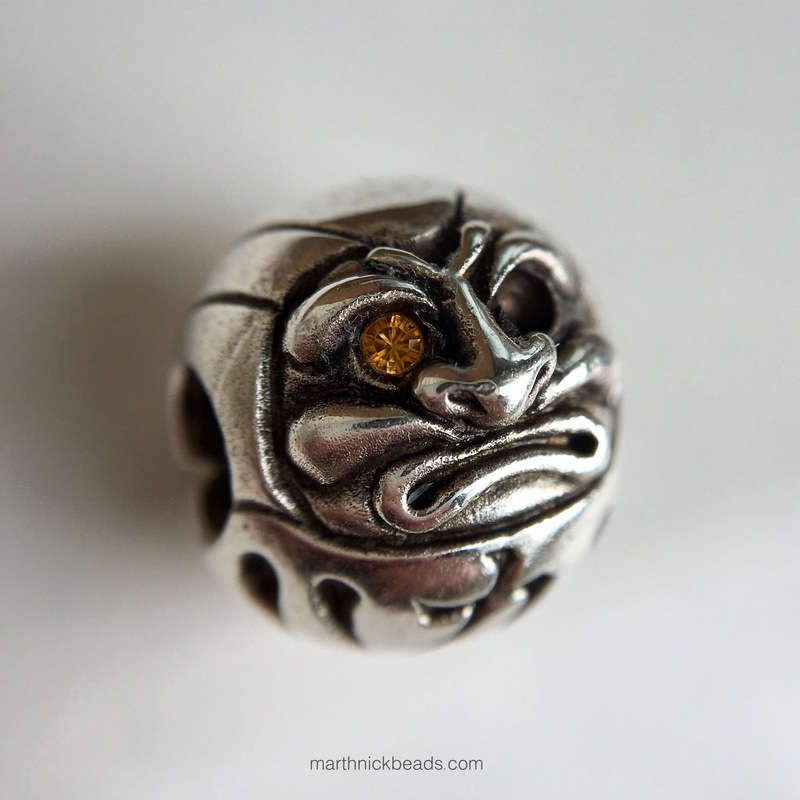 My son recently got me the red leather bracelet and I want to get the Trollbeads Rising Sun bead and put it with the Maneki-Neko and Kokeshi doll. I associate the color red with Japan, so I think that should look good together. And your wooden dolls are wonderful!!! Thanks! Oooo….the red bracelet idea sounds fabulous! 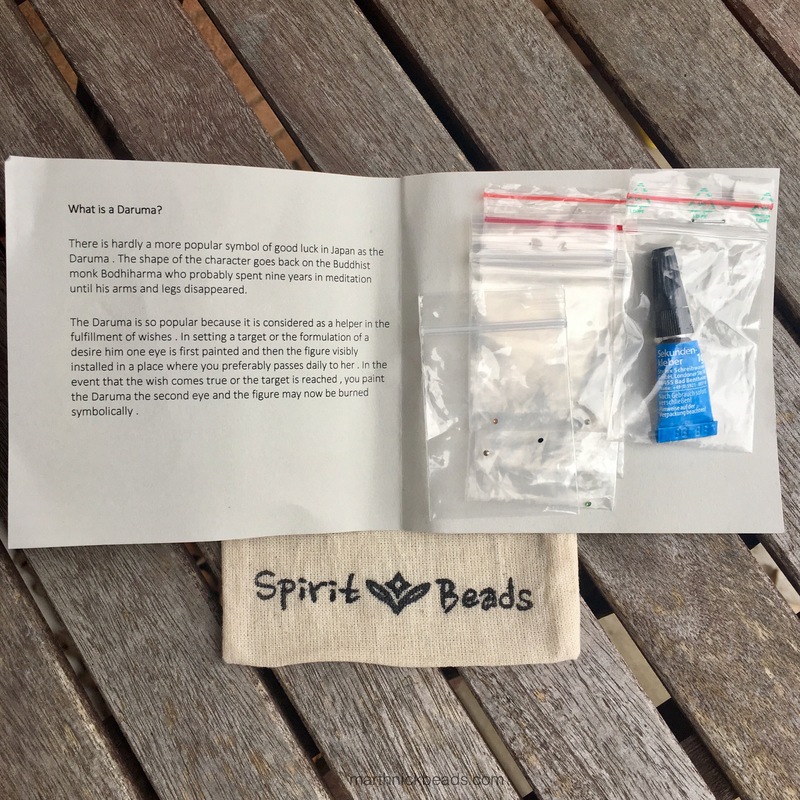 I just ordered it from Perlen while doing the Redbalifrog 3+1 deal, so might try your idea, although I don’t have the Rising Sun bead. But the brass Maneki-Neko would look great on red leather I imagine, so will try that out. I really love these. They are so detailed and substantial also. Really lovely execution! 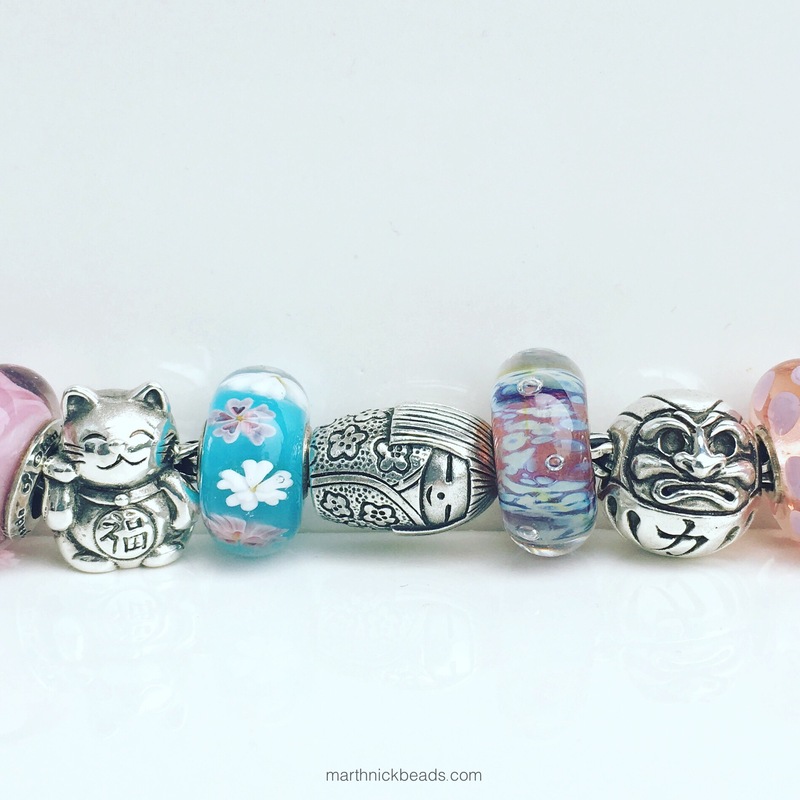 I love how you’ve combined them with other japanese beads from Pandora and Trollbeads, they look amazing. I especially love though that last photo where the beads stand alone in front of that gorgeous wooden piece, bookends maybe? Gorgeous. Faye, substantial is an excellent word for these beads (I’m better at taking photos than writing, ha!). They are very heavy for their size which I quite like. Thanks for the kind words about the last photo…I like it too!